Hope you’re well! Reaching out about Australia-born, blues-rock artist Hamish Andersonand his new video, “No Good,” a preview of his new album due out in 2019. Watch the video as premiere on Billboard HERE. Stream the track on Spotify HERE. Please let me know if you can post the video or interview/feature Hamish! 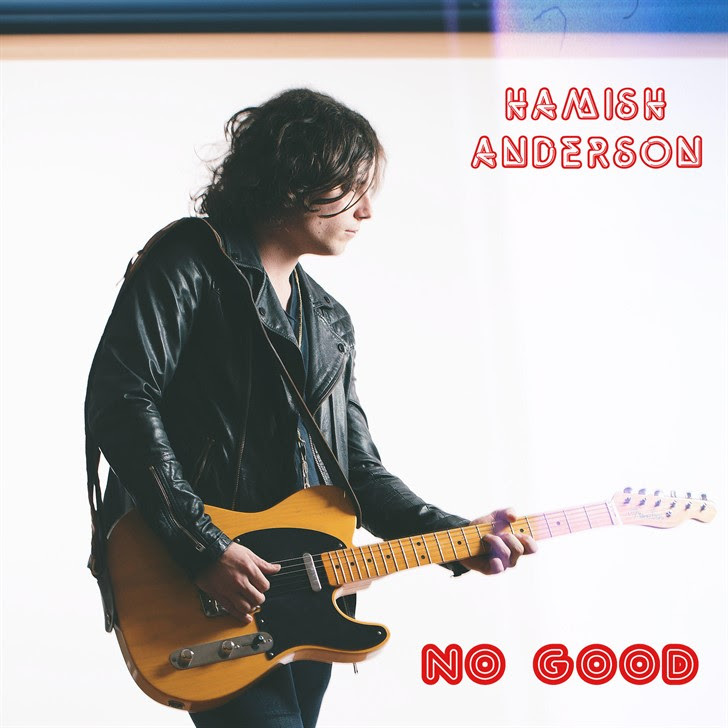 Australia-born, blues-rock artist Hamish Anderson announces his new video, â€œNo Goodâ€ with a premiere on Billboard , who deems Anderson as aâ€œâ€œsinger, songwriter and guitar hero.â€ The track, which debuted on Relix Magazine, was selected for Spotifyâ€™s Official â€˜Nu Bluesâ€™ playlist. Hamishâ€™s new single â€œNo Goodâ€ picks up where Trouble (2016) left off – featuring heavier rock sounds & produced by 7x Grammy winner Jim Scott (Tom Petty, Tedeschi Trucks) with drummer Johnny Radelat (Gary Clark Jr), bassist Chris Bruce (Meshell Ndegeocello) and organist Jerry Borge (Jonathan Wilson). Receiving heavy rotation on numerous radio stations globally (including KCRW, WBJB, KCSN and WEXT), Anderson has appeared at acclaimed music festivals in US, Canada and Europe- including Firefly, Mountain Jam, Summerfest, High Sierra, Telluride Blues Fest, Ottawa Blues Fest, SXSW, Echo Park Rising, Grolsch Festival, Moulin Blues and BottleRock Napa. Hamish Anderson openly counts as his influences guitar players and songwriters from â€‹Robert Johnsonâ€‹ â€‹and â€‹BB Kingâ€‹ â€‹(Anderson was the last artist to open for King before he passed) to Bob Dylan and Tom Pettyâ€‹. Anderson has also shared the stage with Drive By Truckers, The Rides (featuring Stephen Stills, Kenny Wayne Shepherd and Barry Goldberg), Robert Cray, Los Lobos, Low Cut Connie and Vintage Trouble.